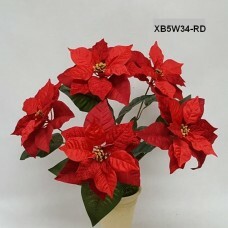 9 bright RED Poinsettia flowers of rich velvet petals and gold accents. 19 inches tall. 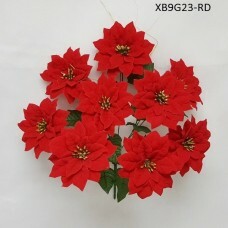 72 PC /Cas..
5 large Poinsettia flowers of rich velvet petals and gold accents. 20 inches tall. 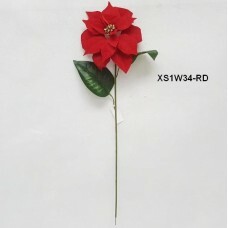 48 PC /Case 12..
Large velvet Poinsettia flower on a long stem. 25" tall. 12 DZ / Case 3 DZ / Inner Box..